When British and American intelligence discover an al Qaeda operation in the works, they enlist undercover imposter Colonel Mike Martin to pass himself off as Taliban commander Izmat Khan. But nothing prepares Martin for the dark and shifting world into which he is about to enter-or the terrible things he will find there. With the exception of one episode, this book will keep you up at night thinking this could really happen...and is!. The description of fundamentalist indoctrination brings the reality of the need for secular education front and center in a chilling manner. 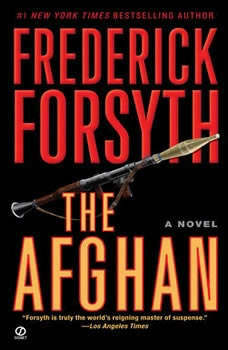 Forsyth is still the master if international intrigue.